2018 foliage season is on the way! 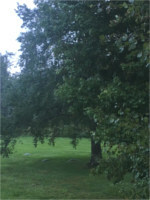 Although we are a week away from the official start of fall, fall is definitely in the air here in Vermont. 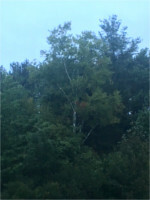 The days are getting shorter, the nights are delightfully cool, and the leaves are beginning their annual transformation. Here’s what our Leaf Squad is reporting form around the state. If you can’t wait to see nature’s magnificent display, head to our Autumn Photo Gallery for a glimpse into years past. And, remember – it’s never too early to plan a fall vacation. Fall is also Festival season in Vermont so there’s lots to do while soaking in the beauty around you. 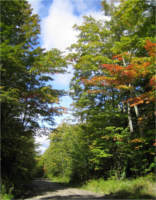 The Vermont.com Foliage Reports are provided thanks to the Vermont Department of Tourism, and by volunteer members of our Leaf Squad from around the state. For more info on current conditions, call Vermont’s Seasonal Hotline at (802)828-3239 … and tell them Vermont.com sent you! 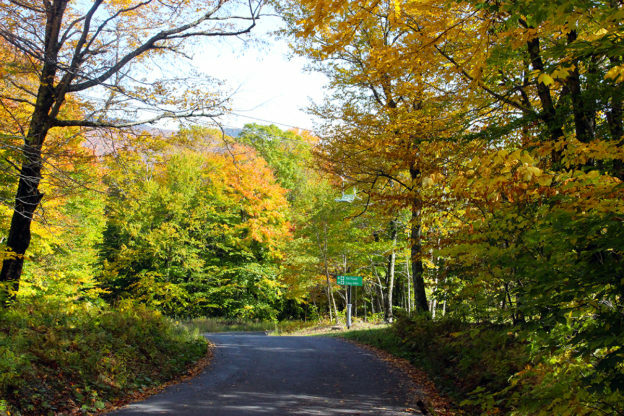 While you’re enjoying the fall foliage, plan to take in one of Vermont’s many Fall Festivals. For comprehensive listing, refer to our Fall Festivals page. 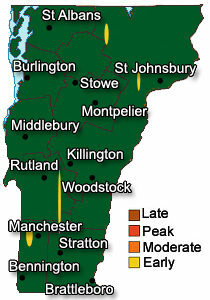 The “Current Conditions” map provides an approximate view of the current foliage color in Vermont, based on the reports we receive. 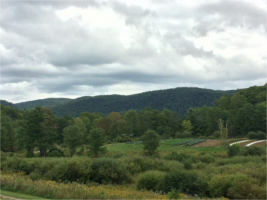 Foliage color generally starts to change in the higher, cooler areas of the Green Mountains, spreading down into the Lake Champlain Valley and Connecticut River Valley, and moving from north to south across the state. 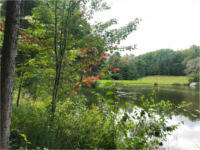 The exact timing of the color change varies from year to year, based on the weather. This entry was posted in Activities, Fall Foliage, Now Trending, Play, Things To Do, Uncategorized on September 24, 2018 by Linda Warner.